A small black cast iron bird dog, perfect to sit on a desk, coffee table or shelf for the all bird lovers! 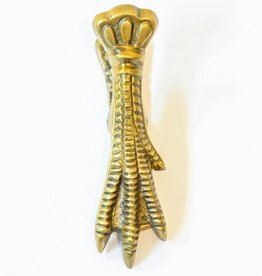 This solid Antiqued Brass Bird Claw Paper Clip for perfect for a tabletop or wall mount. A rustic wooden deer perfect for a cozy home.